This is a seriously good winter salad and is the perfect accompaniment to a dish of pasta, a steak or roast chicken. 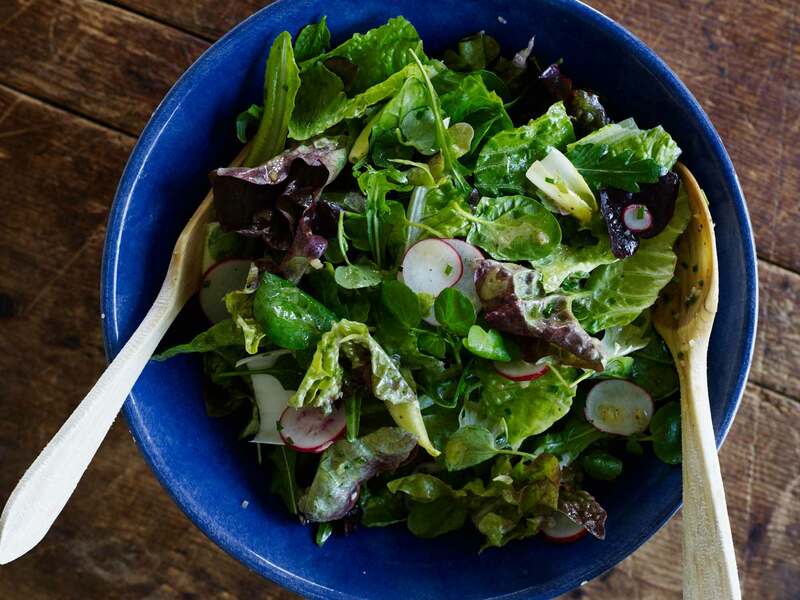 In my books, any meal is improved with a gorgeous green salad. 1 Put all the dressing ingredients in a large bowl and whisk together. The dressing can be left to stand for an hour or so. 2 Prepare salad greens as described below in Recipe notes. 3 When ready to assemble the salad, rewhisk the dressing. 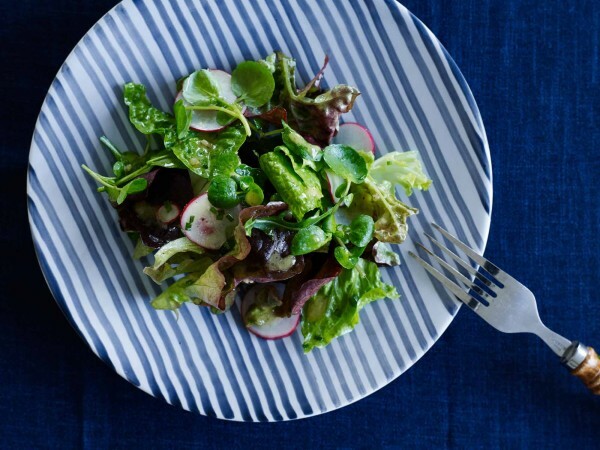 Put the sturdiest leaves like radicchio and iceberg in the bottom of the bowl with the dressing, and radish if using, then top with softer leaves like cos and and the herbs. Toss the salad, then taste to see if it needs any more salt. Top with delicate leaves such as baby spinach, rocket and watercress and lightly toss through. Serve immediately. You can use your favourite salad greens and herbs in a winter salad. I like a mix, and, even though basil is a summer herb, I’m not opposed to a handful of leaves thrown in at the last minute. Prepare a large bowl of greens – more than you think you will need, because salad leaves collapse a little once mixed with dressing – and trim, wash and dry as appropriate. I don’t cut witloof until ready to use as it can discolour. Store them refrigerated in large clean unsealed plastic bags lined with paper towels until ready to serve. You could liken this to a Bloody Mary, a hangover cure, but it is fab on a really hot day, no hangover required! I'm a fan of Louise Cake no matter what is in the centre, but I reckon lemon curd is a knock-out.